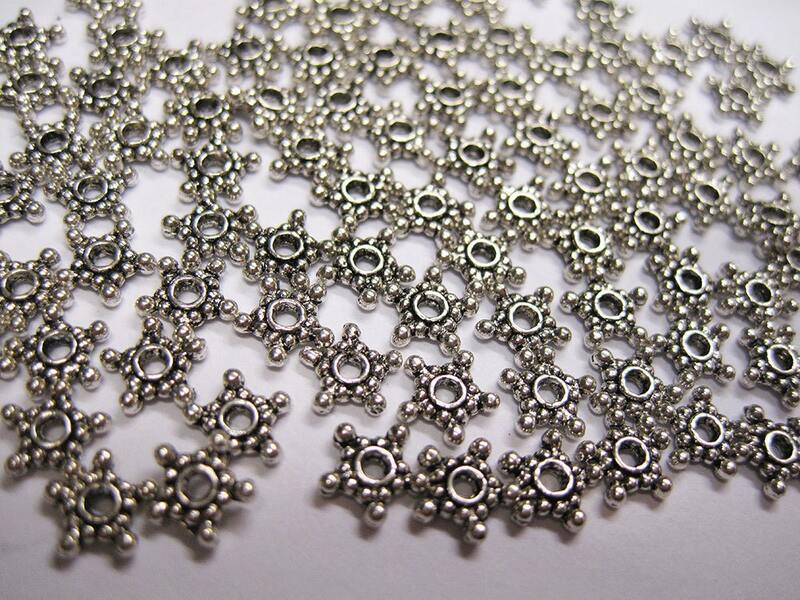 50 antique silver star spacers, 5 pointed heishe spacers 1mm x 7mm; hole size 1.5mm, 1mm thick. Zinc alloy, lead and nickel free. Great for use in-between other beads. As described - a very good spacer bead. Great beads, fast shipping. Thank you!